As 2017 draws to a close, its fair to say that Bluehole has never been more widely known, or widely revered. If you are a fan of multiplayer shooters at this point in time - hell, if you are engaged with the games industry in any way, from any direction - there is a strong chance you now recognise the name of this South Korean developer, even if you had never heard of it 12 months ago. The reason, of course, is PlayerUnknown's Battlegrounds, which has attained a level of success that outstrips any other release this year, and in such a compressed period of time that it defies comparison with anything in recent memory. At the last count it had sold 20 million units - while still in Early Access, mind you, and on a single platform - and Bluehole is currently working with Microsoft on the launch of PUBG for Xbox, and Tencent for its official launch in China - all while rumours that Tencent will soon buy Bluehole ouright continue to percolate. As odd as this might sound, while Bluehole has achieved a great deal in 2017, this year may well be only the beginning of an ascent that will stand alongside that of Riot Games' League of Legends. Indeed, creative director Brendan Greene set rivalling LoL's reach as a personal ambition when he talked to GamesIndustry.biz back in August. "It's the first time we're participating in Gstar with our own power. It's all very new, and we're very proud of what we're trying to do here"
If the rapid rise of PUBG was a surprise to the wider industry and the watching world, it was only marginally less surprising to the company behind it. Speaking to GamesIndustry.biz at Gstar in Busan, Korea, Bluehole CEO Hyo-Seob Kim admitted that working with Brendan Greene on the Battle Royale concept was principally about, "targeting the Western market." "But we were not expecting to go very global," he said. "Even in China and Korea [the game is popular]. We were not expecting PUBG to grow this big. "We have really focused on pitching up the quality of the game for the Western market. As a result it turned out very well, and the other markets gradually followed. It was really about focusing on the game, and how good the game is." The causes of PUBG's popularity are difficult to define, but its effects are impossible to miss. At Gstar, Bluehole was comfortably the biggest presence on the entire showfloor; a spectacle all the more remarkable when one considers that it is the first time in six years that Bluehole had cause to exhibit at Korea's premier consumer event in any capacity. "We were here when we were trying to service Tera through NHN Entertainment," Hyo-Seob Kim added. "But at that time NHN was doing all the main jobs with the booth, so we were more just participating as a development company. "This is the tenth year of Bluehole, and it's actually the first time that we're participating in Gstar with our own power. It's all very new, and we're very proud of what we're trying to do here." Indeed, while PUBG has ensured that Bluehole's name is now known to millions more people than at any time in that ten year history, and that it has the resources to own the showfloor at such a huge event, it is also an outlier in the company's portfolio. Tera, the game it last exhibited at Gstar, is actually more indicative of Bluehole's DNA as a company; an MMORPG first launched in Korea in January 2011, before hitting Europe and North America in May 2012, and eventually transitioning to a free-to-play model in January 2013. Tera was a solid entry into a genre that, in retrospect, had peaked with World of Warcraft, and summarily struggled to gain an identity outside of Blizzard's long, suffocating shadow. Nevertheless, it is still supported with fresh content even now, and as of May 2017 it had amassed some 26 million registered accounts. 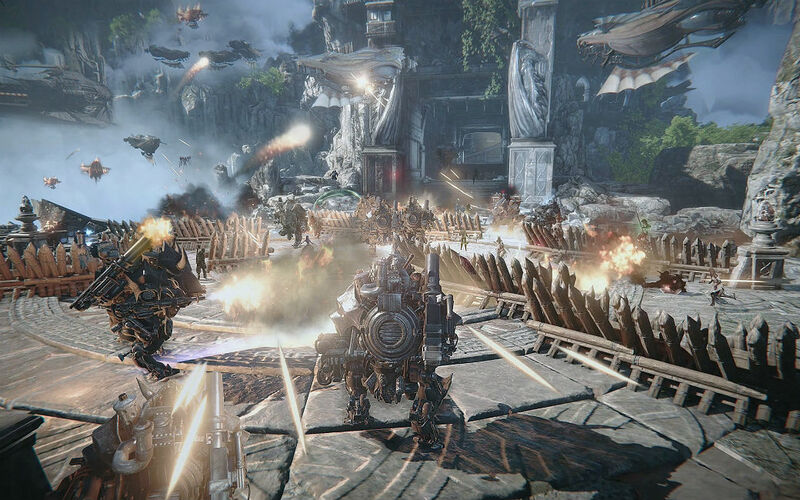 In simple terms, Tera was a hit, albeit in an era before PUBG completely shattered Bluehole's perspective of what a hit game looked like. That much is evident from the game sharing Bluehole's lavish stand with PUBG: Ascent: Infinite Realm, or A:IR for short, an MMORPG that has been in development for almost three years already, and will be the first new product Bluehole releases into a world in which everybody now knows its name. "We're not trying to make the perfect game for two regions... We actually tried that on Tera, and it didn't perfectly work out like we expected"
If PUBG represented a completely new direction for Bluehole, A:IR is a comparative return to its roots - albeit a return informed by the huge changes in the MMORPG market since Tera was launched. "MMORPGs were very new [ten years ago], with World of Warcraft and all the others," Hyo-Seob Kim said. "But the play style [stayed] very similar as time passed on, so the players got bored with the system. They started looking to other genres of games. "But there are still people who are used to the MMORPG, and if a new game can give them a new experience they will come back and play again." Partly informed by the early popularity of PUBG, Bluehole has attempted to make A:IR an MMORPG that can thrive in a market in which time is seen as the most precious resource of all, and where franchises as disparate as Destiny and FIFA have absorbed the kind of sticky, persistent systems that were once the genre's unique selling point. That means less grinding and more meaningful quests, Hyo-Seob Kim said, and making a large proportion of the game's best features and content open from the very first hours. "There are mobile games now, and there are console games. We think we can match that lifestyle, and make an MMORPG that you don't have to put your entire life into. "If you were playing WoW and a new MMORPG came out, you had to choose whether to move or to stay with the game you put all the effort into. The market has changed, and MMORPG styles have changed. We are also trying to change, so you can also play other games and still play A:IR. "At this time, there aren't many companies making MMORPGs, and the games that are running right now have often been running for a few years. A lot of users are exhausted with the older content, and while users have a lot of options in other genres, there aren't a lot of MMORPGs on the market. "If something new comes out, it will get higher interest." And Bluehole wants that interest to come from primarily the same regions where PUBG first thrived: Europe and North America, which comprise what the games industry generally considers to be 'the West'. However, according to Hyo-Seob Kim, this Western market focus isn't a response to PUBG's success. "Bluehole has been making MMORPGs for PC for a very long time - for ten years. With Tera, we were targeting the Western market from the beginning, and for A:IR we're still mainly targeting the Western markets. "You can see from the [art style] and characters, it's more for the Western audiences. Korean users would like it to be more pretty, something like that. There's a type for Korean users, and A:IR is really not like that." A:IR certainly has a distinctive style; a fusion of classic medieval landscapes and iconography, elaborate steampunk contraptions, the odd exotic animal here and there, and a cast of character designs that run the gamut from Red Dead Redemption to Dark Souls to (yes) Asian MMORPGs. A:IR also places emphasis on real-time PvP combat, both on land and in the air, which Bluehole hopes will attract players with limited time to invest in questing and levelling. "We're getting a lot of help from PUBG, putting the value of the company's name up. We think it will help people to acknowledge the new game"
There is no denying the ambition on display, even if the sheer breadth of ideas and styles can overwhelm at times. Not something for everyone, perhaps, but Bluehole seems to be aiming to offer something for every MMORPG fan (lapsed or otherwise) in Europe and North America. "We're not trying to make the perfect game for two regions," Hyo-Seob Kim said. "To make a game that satisfies everyone in every region, you would have to put every source that every region wants into it. We actually tried that on Tera, and it didn't perfectly work out like we expected. "So we're trying to focus on the Western market, but we think that if the quality is very good, then there's no reason why Korean and Asian users wouldn't play that game. I wouldn't totally agree that every region has different tastes [any more], but like PUBG, we want to make an MMORPG that everyone likes - the basic content, the systems, how it works. "The difference will be in graphics, or the character customisation; there will be differences for each region, but the basic systems we're trying to make work all over the world." 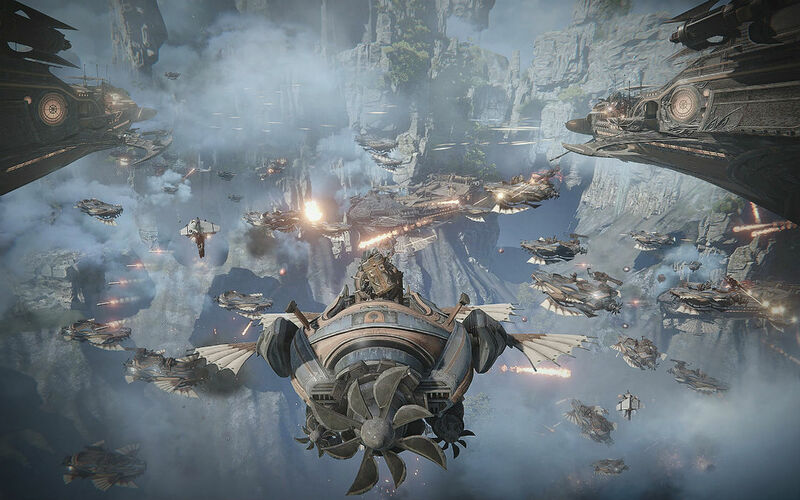 The business model, too, may vary from region to region, and Hyo-Seob Kim revealed only that Bluehole has no wish to erect a subscription model around its biggest MMORPG launch since 2011. Not just because the genre is arguably more niche now than ever before, but because every unit of PUBG sold results in greater public awareness for whatever Bluehole does next - the lower the barrier to entry, the greater the potential to tap this vast new pool of players. However, that greater awareness doesn't guarantee an understanding of Bluehole's identity in the ten years before PUBG even existed. Will PUBG's tens of millions of fans be expecting a game like A:IR from its new favourite developer? Almost certainly not. Fortunately, that's exactly the response that Bluehole is expecting. "PUBG will help, but our stance is always to put our effort into making a high quality game."